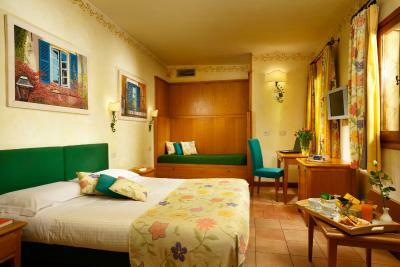 Lock in a great price for Hotel Santa Maria – rated 9.5 by recent guests! Enjoyed the tucked away serene location yet squarely located in a great area. Amazing staff: reception, cleaning, breakfast......ALL were exceptional! Loved my stay and would highy recommend it to others. The Hotel was very beautiful in a quite little area, but had plenty of businesses and food close by. 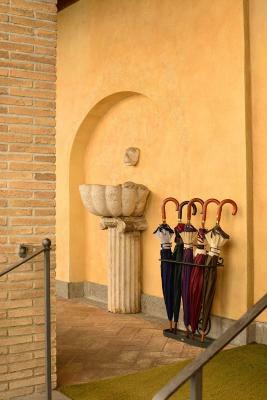 It was very attentive with extras like bikes and umbrellas you could use. They also have a bar and 24 hour reception which you don't always get in Europe. The front office allowed us to check-in 4 hours early knowing that we had just taken a 9 hour red eye flight. 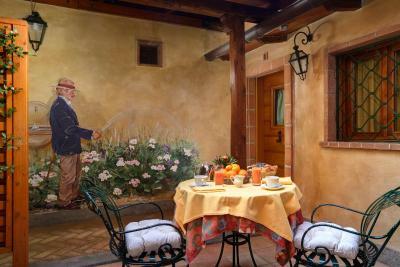 The dining room staff Sugar and Honey (nicknames) greeted us each morning with a smile and they make the best cappuccino. 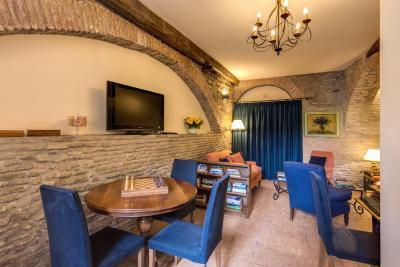 The property was in a great location in the Trastevere neighbourhood.... close to Piazza Santa Maria and nice restaurants and cafes. 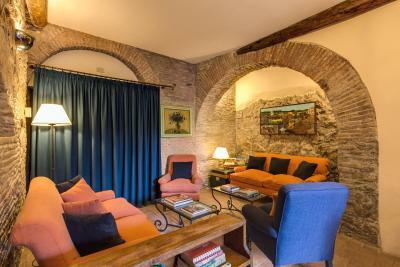 It was secluded when you wanted quiet and a peaceful atmosphere in its beautiful interior garden and also just steps away from the night life and Trastevere activities if you ventured out of the enclosed complex. 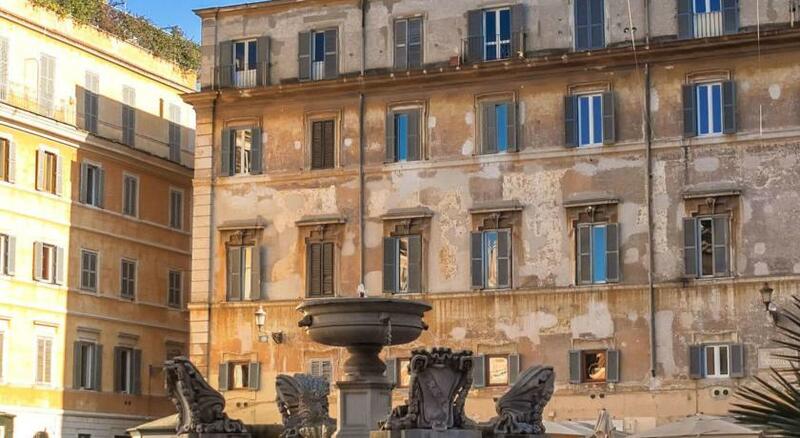 Walking from the hotel you can reach most of the main ancient sites in Rome within a 30 minute walk. The staff was amazing!! So very helpful whenever needed and went out of their way to make us comfortable. 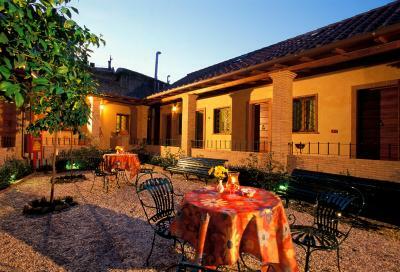 Great location, spotless room, excellent courtyard for breakfast and evening drinks. Loved the location walking to distance to so many restaurants, to other places we visited like the Vatican, colosseum it is 10-15 minutes away. Great place to stay the staff is lovely, felt very secured and it was so nice and cleaned. You are in the middle of so much going on that the peace and quiet at the hotel was lovely. 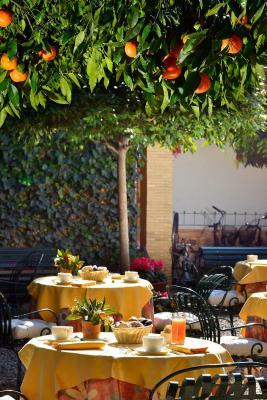 Morning breakfast outdoor was the best! 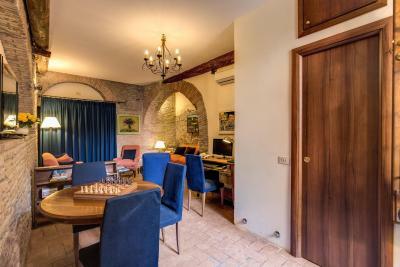 Hotel Santa Maria This rating is a reflection of how the property compares to the industry standard when it comes to price, facilities and services available. It's based on a self-evaluation by the property. Use this rating to help choose your stay! 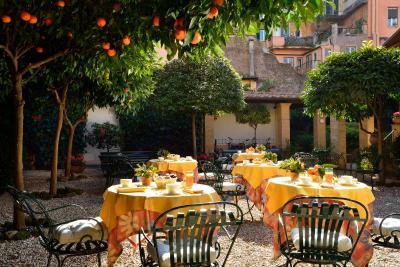 The Hotel Santa Maria is in Trastevere, on the bank of the Tiber River, it is one of the most charming and authentic neighborhoods of Rome's historic center. 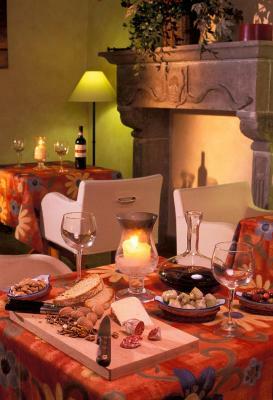 Housed in a converted 16th-century convent, this is an intimate hotel that offers personalized service. 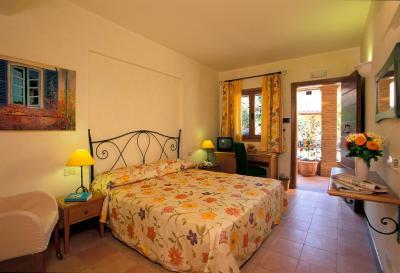 Its guest rooms all look out onto the internal landscaped grounds complete with orange trees, flowers and Mediterranean greenery. You can enjoy breakfast or an evening drink here in the glorious Roman sun. 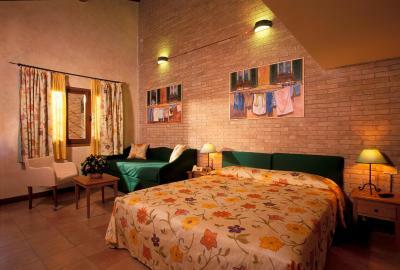 Each room comes with terracotta floors and elegant wood furniture. It also features modern amenities such as air conditioning and an LCD satellite TV. Wi-Fi throughout is free. 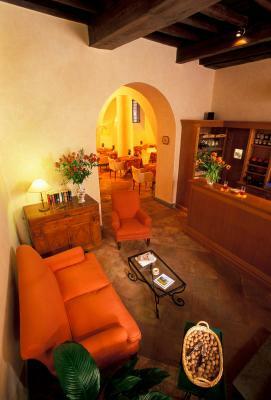 The Santa Maria Hotel has a bar, where you can select your favorite regional wine before heading out into Trastevere. 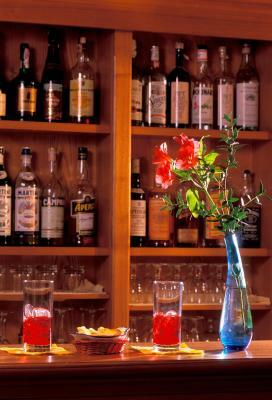 During happy hour drinks include free snacks from the buffet. 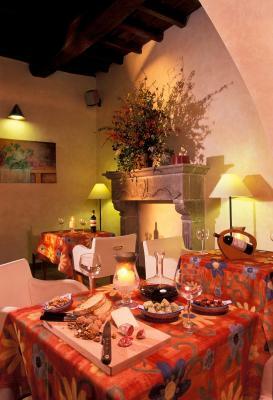 The characteristic narrow, winding roads are full of typical Roman restaurants and bars which are very popular with the locals. 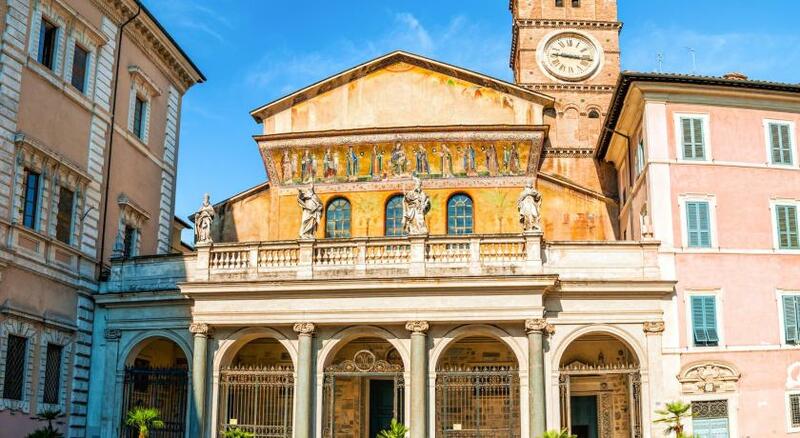 The renowned square of Piazza Santa Maria in Trastevere is just a few steps away. 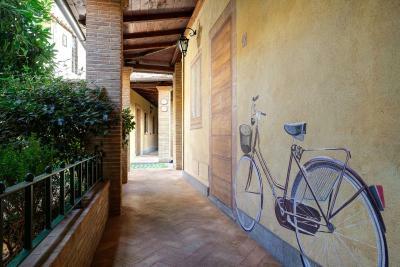 Rent a bike from the front desk and explore Rome. 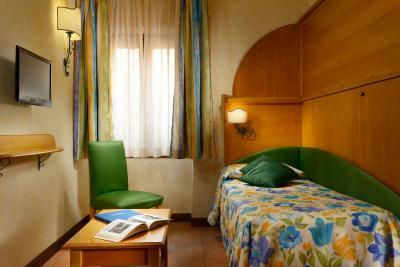 When would you like to stay at Hotel Santa Maria? 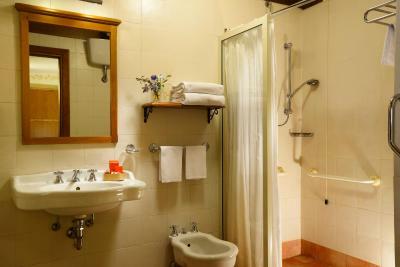 Air-conditioned room with LCD TV and private bathroom. 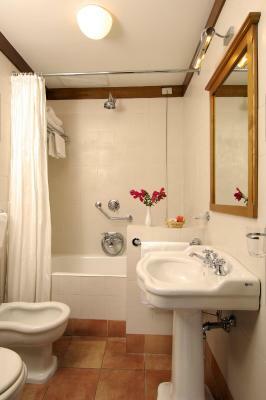 This air-conditioned room features a large private bathroom and faces the grounds. Includes an LCD satellite TV. 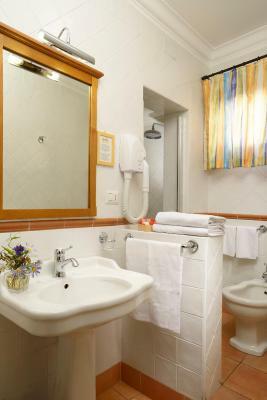 Composed of 2 rooms and a private bathroom. Offers air conditioning and a LCD satellite TV. 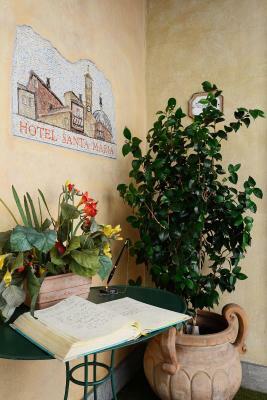 House Rules Hotel Santa Maria takes special requests – add in the next step! Hotel Santa Maria accepts these cards and reserves the right to temporarily hold an amount prior to arrival. Please note the bar is open from noon to 10 pm. Happy hour starts at 5:30 pm and an extra fee is applicable. Guests get free snacks from the buffet when buying a drink. The staff were so helpful and welcoming. After checking out we were able to use the facilities. Super, profesional services with the best staff. The atmosphere was lovely, the decor traditional but modernised, the staff were xtremely helpful. 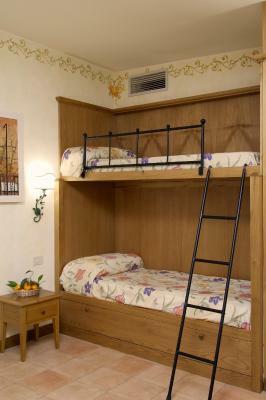 I will certainly be recommending the hotel to any friends visiting Rome. 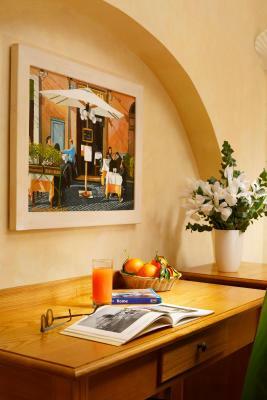 Very nice, charming hotel in Trastevere, such a beautiful area of Roma ! The garden with orange trees all around is peaceful and people are really helpful and welcoming. Loved it ! Hot shower and good location. Very helpful in arranging taxi, directions, baggage storage, drinks anything we needed. Could not fault the staff everyone clearly enjoyed their work. 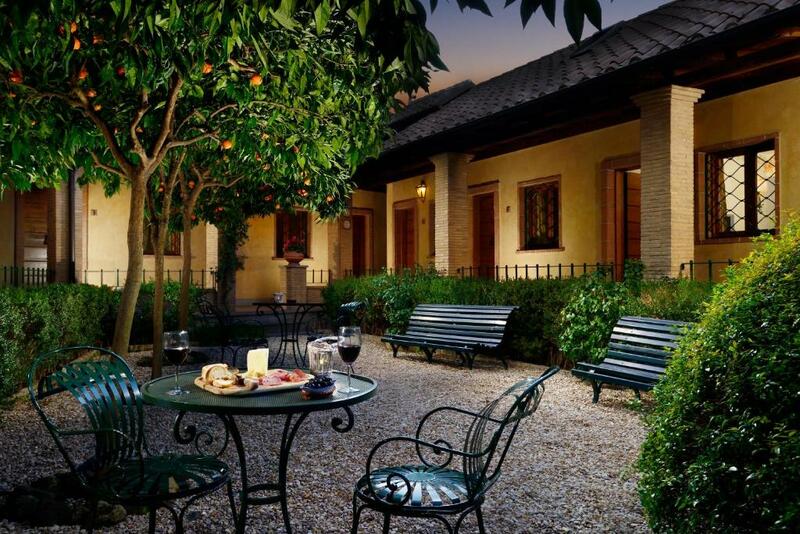 This is a beautiful hotel in a lovely private orchard courtyard. 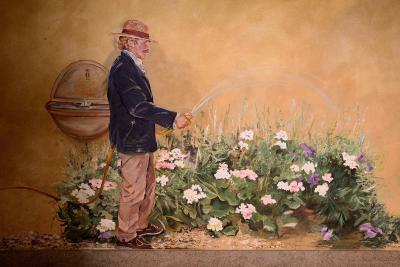 The staff are so lovely and friendly and the area is excellent for bars and restaurants. When you come back at night you can have a very peaceful nights sleep as the hotel is set in its own grounds and there is no noise from the street. 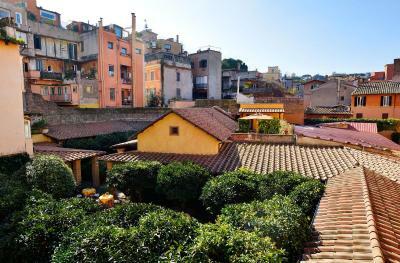 It is also within walking distance of all the popular sites of Rome. 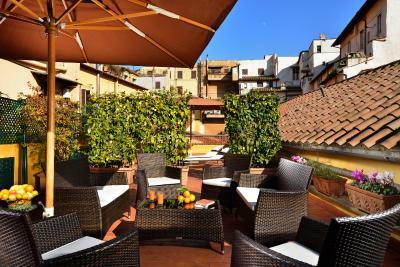 I have no hesitation in recommending this lovely hotel and cannot wait to go back when next in Bella Roma. 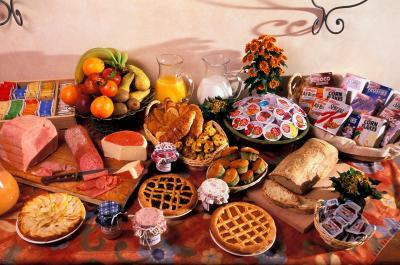 A bit more variety with breakfast. 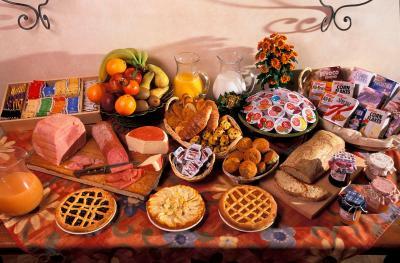 That said breakfast was plentiful and tasty. 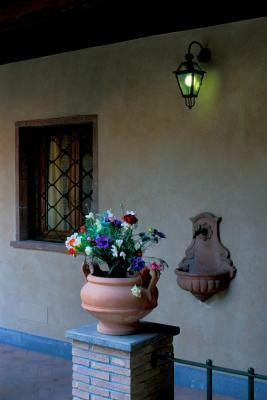 Room was clean, bed was comfortable, property was quiet as the room faced an interior courtyard. It was too cold to enjoy the courtyard, but we hope to come back in warmer weather! Staff were extremely helpful and welcoming. 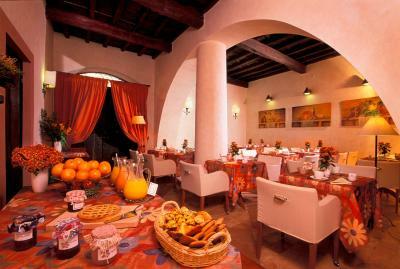 Excellent breakfast with artistically created, delicious cappuccinos! The hotel courtyard was very picturesque with orange trees and outdoor seats and our room was lovely; very comfortable, clean and well maintained. 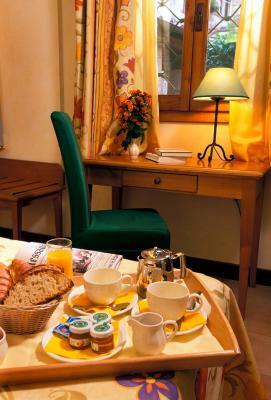 Excellent location, lots of restaurants nearby and sights within easy walking distance. We were there as a family and we had a great time. Highly recommended. Everybody were so helpful and welcoming. 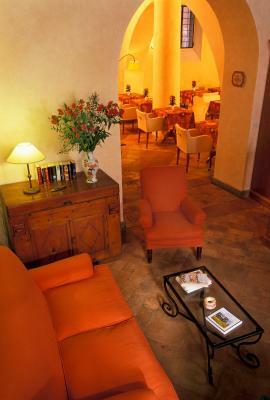 This is a beautiful hotel and the best place for a relaxing stay in Rome. 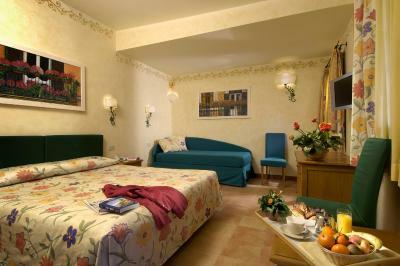 Although it is right in the middle of Trastavere the hotel is peaceful. Food was excellent. It was nice to sit outside in the garden with coffee and beer. Best place in town!